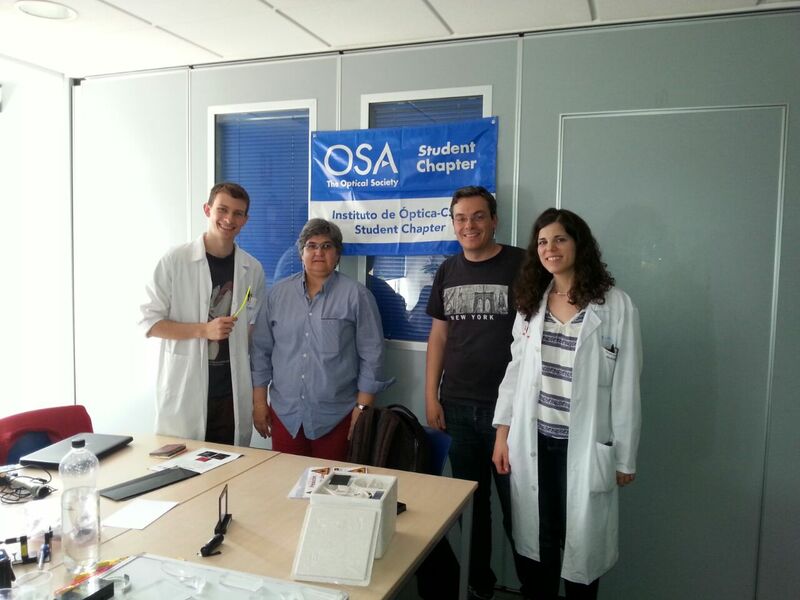 IOSA members taught a workshop with the title “Discovering Light” to students of the Hospital Niño Jesús school in Madrid. The activities were carried out with the collaboration of Paloma Fernández member of the Permanent Commission of the Program ENCIENDE (ENSEÑANZA DE LAS CIENCIAS EN LA DIDÁCTICA ESCOLAR) and the personal of the Hospital. The kids enjoyed the workshops and they had a lot of fun with the experiments. Esta entrada fue publicada en Activities, Visits y etiquetada activities, csic, fluorescence, instituto de optica, iosa, iosa student chapter madrid, optics, optics workshops, scientific outreach, year of light. Guarda el enlace permanente.